Shielded cupboard for storage of low activity kits. The DKR is made up of a column structure and a hinged door with key lock. Structure: made of AISI 304 stainless, thickness 1.5 mm, with Scotch-Brite finishing. Internal shielding on all sides with continuous lead sheets with 3 mm thickness. 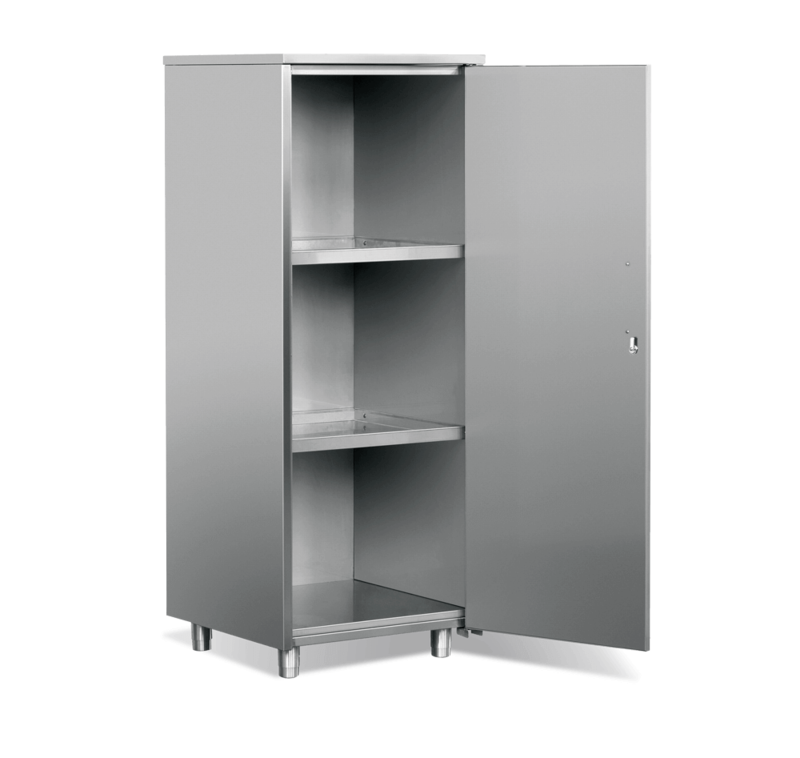 The cupboard is equipped with two internal stainless steel shelves. The door is equipped with handle and key lock.